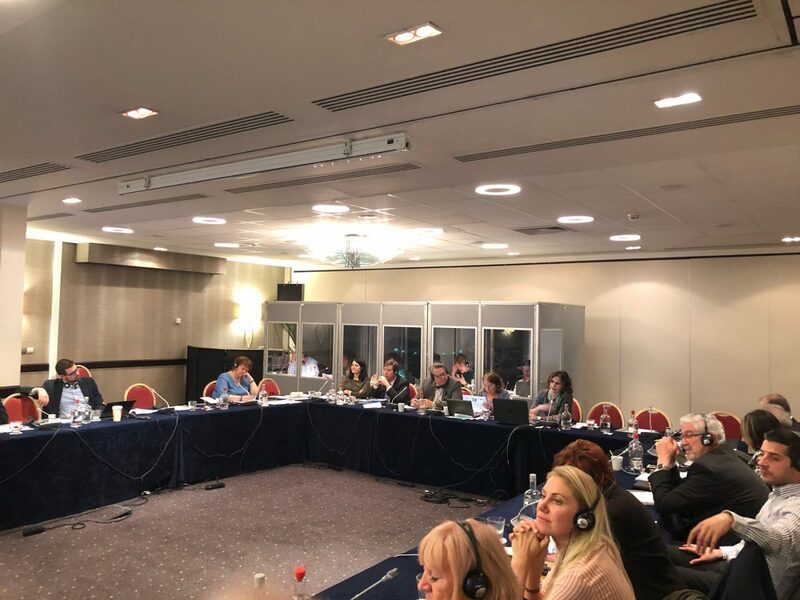 On the 17th of April of 2018, Paloma Rodriguez and Esther López were invited to participate in the Sectorial Dialogue Committee on hairdressing on behalf of the Eramus+ Project: “Future Skills and Sustainable Development in the Green Salon”. 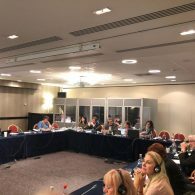 The aim of the Sectorial Dialogue was to discuss about the Action Plan proposed by the European Commission to improve the hairdressers working conditions, so that the main European Employers Association, represented by Coiffure EU, and representatives of European Employees Unions, discussed about different topics mainly related with health and safety. During the Conference, some experts from the European Commission explained the last legislative proposals on musculoskeletal disorders, personal protective equipments and allergy tests, and interesting information was given to the attendees. Along the sessions, we could realize that all the topics and issues related within the European Commission had been deeply carried out within the Green Salon Project and that the information and researches collected in the Project were updated and accurate. However, we had to wait until our presentation of the Green Salon Project to tell the participants all the outputs and knowledge we had developed and how 6 schools from 5 different European countries had been working through 3 years to promote a healthy and sustainable hairdressing. All the participants were very impressed by the high quality of the project outcomes and they valued it a lot. Even more when we gifted to the different Associations and Unions the magazine: Hair and Beauty in the Green Salon so that they could deep in the Green Salon Project. We finished our presentation remarking the importance of Vocational Education to promote health and sustainability in the Salons and the flowed communication it should be between the social stakeholders and Vocational Schools if we really want to change things for better. Our special gratitude to Mrs. Miet Verhamme, from Coiffure EU, for inviting us to the Conference of the Social Dialogue and to all the participants for the kind welcome, supportive comments and acknowledgment of the work done in the Green Salon Project. It was an honour to represent all our project partners in such an event.